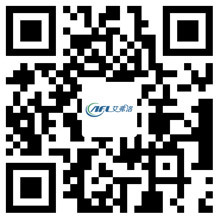 Reduce The Noise of The Forward Centrifugal Fan - Hangzhou Airflow Electric Appliances Co.,Ltd. Centrifugal fans are widely used in our production, and in the type of centrifugal fan, there is a very popular centrifugal fan, that is, forward centrifugal fan. In the use of centrifugal fans, a very important issue is that our fan noise reduction problem, that today we come to introduce you to the forward centrifugal fan to reduce the noise of some of the methods. A common way to control fan noise is to install a resistive muffler at the inlet and outlet of the fan. For a higher noise reduction requirements of the occasion, you can use muffler sound insulation box, and in the unit and the ground between the placement of shock absorbers. Take the above method, generally get a significant noise reduction effect. For the fan with strong forward blades, and the multi-blade impeller is conducive to increase the aerodynamic load of the cascade, in the same air volume under the pressure, the impeller blade circumference on the outer circumference of the fan noise can be significantly reduced. When the air flow and the relative movement of the leaves, the blade trailing edge of the air velocity and pressure are less than the main flow area, so that after the cascade air flow velocity and pressure distribution are uneven, this uneven air flow in the rotation, Leaves of the airflow there is a volute tongue, then this non-stable flow and the interaction between the volute will produce noise, the noise from the noise more intense, usually appropriate to take the larger front tongue radius can reduce the forward centrifugal fan rotational noise and eddy current noise. The acoustic resonator, when the sound waves spread to the resonator, the aperture and the cavity of the gas in the gas under the action of the sound waves back and forth movement, the movement of the gas has a certain quality, it is due to the role of sound waves caused by movement , While the sound into the small aperture, due to the friction and damping of the neck, so that a considerable part of the sound energy loss due to loss. In addition, the gas-filled cavity has the characteristic of hindering the pressure change from the orifice. As a result of these factors, the noise is reduced when the gas passes through the resonator.